CKF - Arrest of Rev. 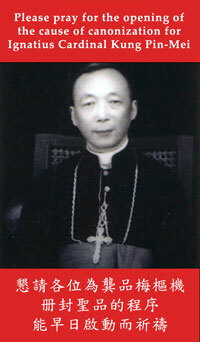 Vincent Qin, S.J. Arrest of Rev. Vincent Qin, S.J. 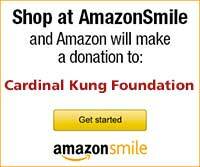 Stamford, Connecticut, U.S.A. - Father Vincent QIN Guo-Liang, S.J. was arrested in early May, 1994 in Xi-Ning, Qinghai province. We do not know where he is and how he is being treated. He is 59 years old. He was previously arrested in 1955 for 13 years prison term because he refused to renounce the Pope. Upon completion of his time in prison, he was transferred to a labor camp as an "employee detainee" to make bricks at No. 4 brick factory in Xi-Ning, Qinghai. After he completed his time (another 13 years) in the labor camp, he was unable to return to his native land in Shanghai, because the government refused to registered him there. He was forced to continue working in the No. 4 brick factory in Xi-Ning, Qinghai, ostensibly as a "worker", until he was arrested in early May this year. He was secretly ordained a priest in 1986 and carried out his apostolic work in the province of Qinghai.